To the north of Somalia is the small, vibrant but unrecognised nation of Somaliland, independent since 1991, where presidential elections were held on 26 June. Despite the success of close-run parliamentary elections in 2005 — judged to be “basically free and fair” by international election observers — Somaliland’s quest for international recognition has stalled. Hopes are high that the 2010 elections will make international engagement with the recognition question unavoidable. International observers have judged the elections free and fair. Provisional results show that the opposition leader Ahmed Mohamed Silanyo won with 50 per cent of the 538,000 valid votes cast, beating the incumbent UDUB party (33 per cent) and the UCID party (17 per cent). If there is a smooth transfer of power, it would be a rare achievement in the Horn of Africa region and will increase Somalilanders’ pride in the peace and stability of their country. Clan allegiances are a factor in the elections, but local media has played an important part. Overall media coverage of the three political parties contesting the election has been generally fair and balanced, according to local media analyst Hussein Ali Noor. In fact, he says that Somalilanders “enjoy a freedom of the press that many in the west do not”. That does not mean that individual media outlets have always stuck to the media code of conduct developed by the national election committee (NEC). In early June the national television station, SNTV, was chastised by the Election Monitoring Board of the NEC for giving preference to the ruling party, by covering spurious news outside the designated political campaign programmes, such as the “opening” of an old project. Meanwhile private TV stations favour the opposition parties and have been harassed by the authorities in the past. This election campaign, however, has seen a notable lack of intimidation or harassment of journalists. 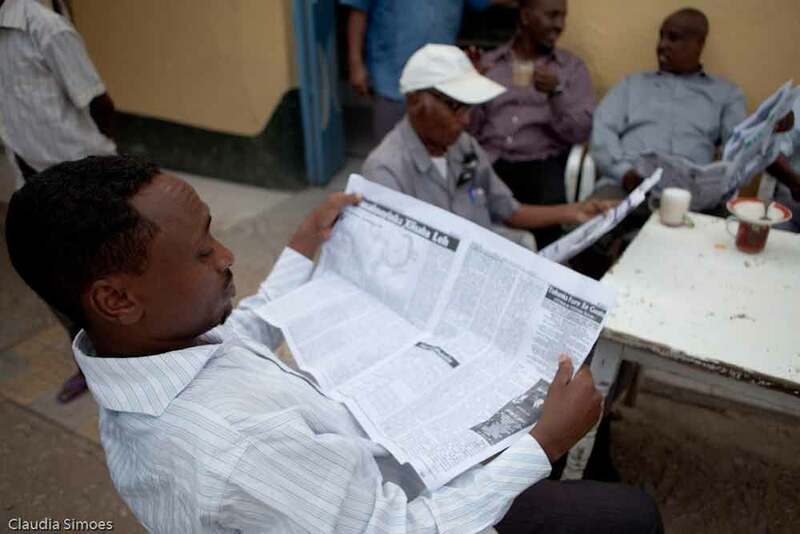 Public radio is limited to Hargeisa, the capital city, and has been the main vehicle for raising awareness about voting procedures, women’s rights and other civic information. Radio Horyaal is available around the country but only broadcasts for half an hour every evening and is not well known outside the capital. The lack of national radio stations means that there is great loyalty to the BBC Somali Service, and more recently, Voice of America, which has a younger and more lively style. Kulmiye and UCID both promised to bring in national FM radio stations as part of their manifestos. Overall print media has presented a balance of party support, although of the nine newspapers in the country only three provide serious political coverage. Security concerns relating to Al-Shabab and its associates have been heightened since an incident on 10 June in the second city, Burco. Residents raised their suspicions about recent arrivals to the police, who say they recovered explosives and arrested 11 people. One policeman was killed and several injured.